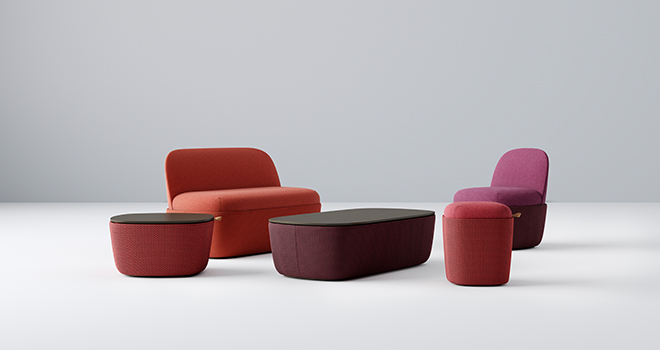 The Beso Seating Collection, designed by Khodi Feiz for Artifort, is one of four Artifort products that Teknion will distribute in North America. At the heart of every highly functioning organization is a collaborative culture that enables teams to work together when they want to—but also find a quiet spot away from the action. Furthering the new social office landscape, Studio TK has crossed the pond to collaborate with two Dutch design powerhouses: Artifort, a 128-year-old modern furniture company and Feiz Design Studio. The new partnerships will provide Studio TK clients with even more choices for lightweight and mobile furniture that employees can easily reconfigure throughout the day. It’s a win-win. Artifort is eager to expand its distribution into North America. Studio TK will not only be marketing, selling and distributing some of their products here, but also making those products in North Carolina with an eight-week lead time—a much more competitive selling proposition than making product in Europe and shipping it across the Atlantic. “We saw a great opportunity based on the design heritage of Artifort,” says Bell. Like Teknion, Artifort is a family-owned company with a tremendous understanding of the importance of well-designed products and quality execution. The partnership was also attractive because it adds interesting new depth and breadth of product selection and renowned international designers to the existing Studio TK collection. Studio TK by Artifort Creative Director Khodi Feiz. Artifort and Studio TK also attract the same types of clients seeking design-oriented solutions that enhance the social workspace. 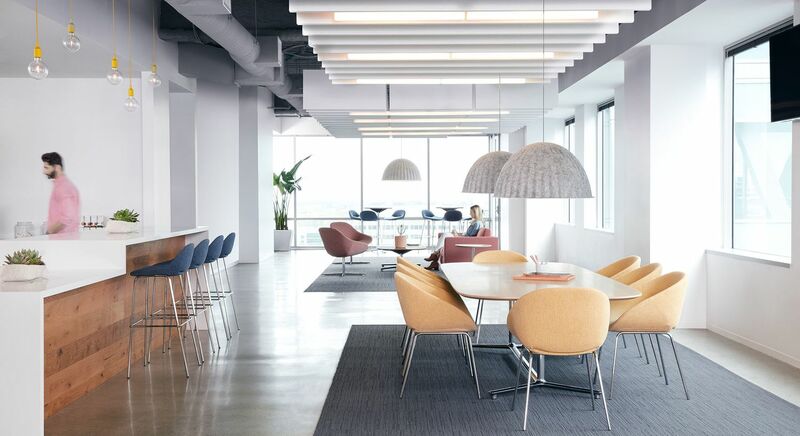 Artifort’s Beso (Spanish for “kiss”) is an affordable and highly versatile chair program that meets the needs of the North American market by encouraging long but comfortable periods of work with others. This transversal collection includes a chair, armchair, lounge and two stool heights that work in cafe environments, conference rooms and lounge settings.